The American Human: For the Record: Mitt Romney Released Only Two Partial Tax Returns, 2010 and 2011. For the Record: Mitt Romney Released Only Two Partial Tax Returns, 2010 and 2011. Everyone says Romney finally released his tax returns. No, he didn't. Coward. Mitt hemmed and hawed, then toss us a couple of bones. In 2012, Mother Jones pointed out that based on his two years of reports, the taxes Romney paid on his adjusted gross income didn't fully cover all his wealth. Two years later, what do we still not know? How much does he actually make? 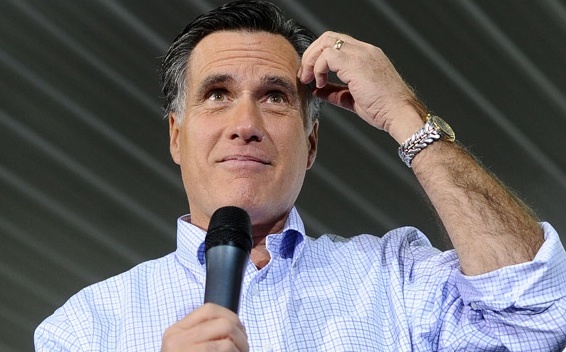 In 2010 and 2011, tax filings revealed that Romney made around $22 million each year. The vast majority of his income came from Romney's capital gains and investment interests, and this amount presumably covered the reported total of $374,000 in speaking fees he received in 2010 and 2011. (The two years of tax filings he released did not specify exact sources of income.) Two years after the election, it's unclear how much Romney earns annually, and it's unknown exactly how much sits in his various accounts. Get that? "The two years of tax filings he released did not specify exact sources of income." Real tax returns would tell all. Mitt Romney skated. Why does everyone forget?